Heiss™ aluminum cookware is now available from G.E.T. 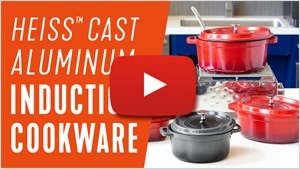 Watch the introductory video featuring our resident metals expert, Mike Halles, as he tells you the many benefits this innovative cookware will bring to your foodservice operation. If you prefer to read, we've provided a transcription below the video. Enjoy! 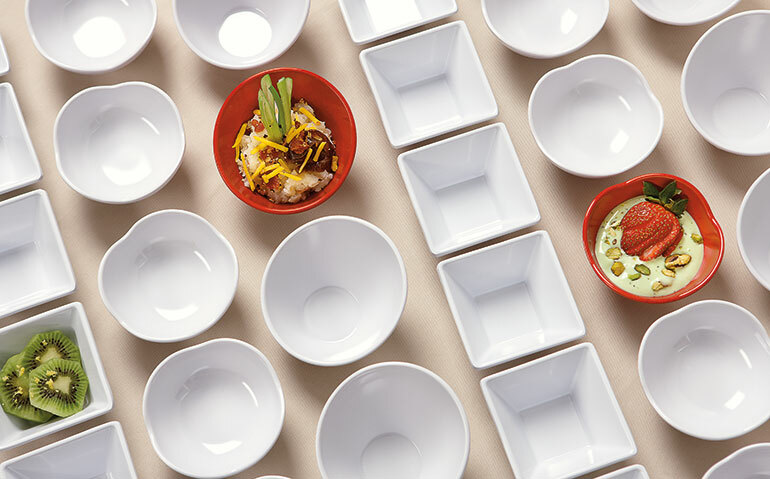 How Long Does Melamine Dinnerware Last in Commercial Foodservice? As a foodservice operator, understanding your long-term investments (e.g., equipment, smallwares, etc.) can help your overall budget planning. 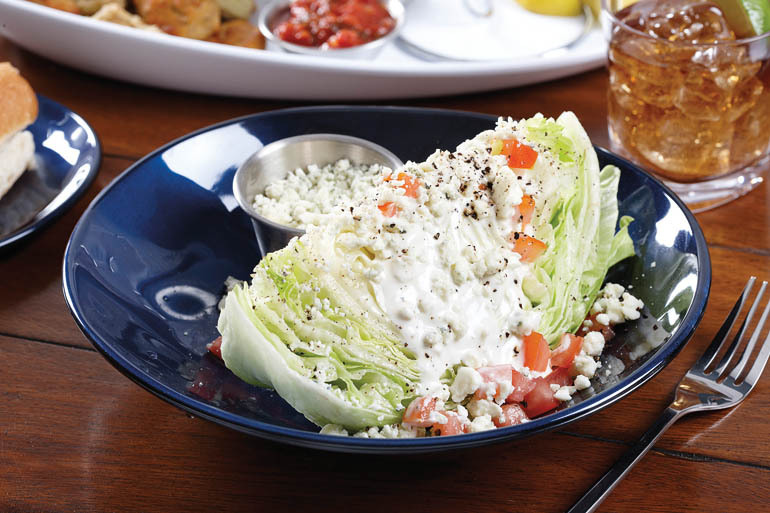 Here at G.E.T., we're experts in alternative material dinnerware, so let's focus on that part of your operation. Many operators invest in dinnerware made from melamine because it’s one of the most durable food-safe materials on the market. But how long will your melamine dinnerware actually last before you need to replace it? The truth is that a few factors play into this answer. And you actually have quite a bit of control over how long your pieces last. We'll tell you why. We recently noticed that our customers have been more interested in 1/2 and 1/3 size food pans for their chafing dishes than the typical hotel pans they usually request. This shift in demand got us curious about what's going on in the catering industry, so we asked around. There are some smart caterers out there! They've figure out how a very simple technique can significantly reduce food waste and keep more money in their pockets. It was a really great tip for us, so we're here to share it with you. 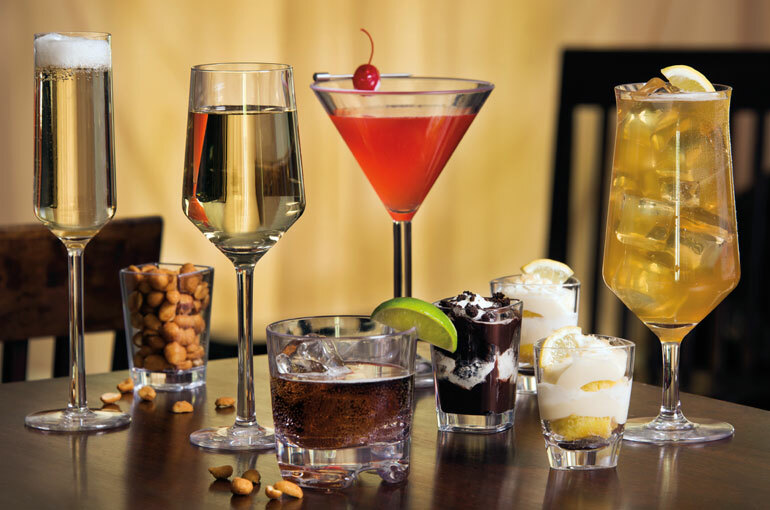 All foodservice establishments need drinkware for guests, regardless of the style or volume of service. 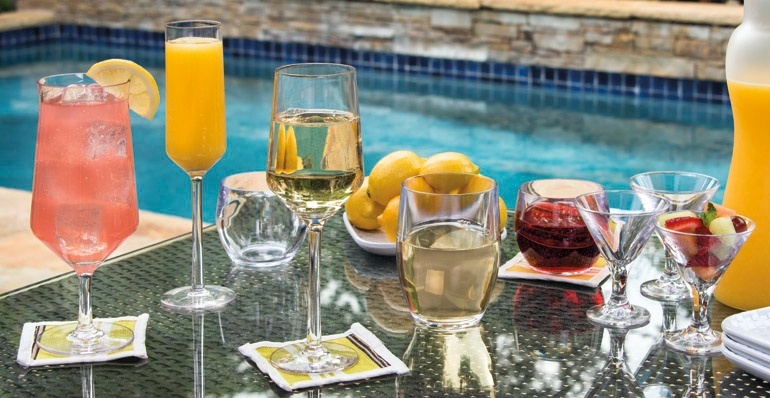 If you’re a foodservice operator, you may have been faced with the decision of whether to purchase glass or plastic drinkware. But with so many options, the choice can be difficult to navigate or even know where to start. You have your bottom line to consider, as always, but what other areas of operation might be impacted by the material you choose? Most importantly, how will your decision impact your bottom line beyond the initial investment? Here at G.E.T., we’re big fans of our customers getting the best bang for their buck, but also finding the perfect product to fit brand and service style needs. We’ve put together some key cost points to consider when deciding between plastic or glass drinkware. As a foodservice operator, you may not have given much thought to which kind of plastic your drinkware is made from. Considering the tight margins in this industry, you've probably focused more on price than anything else. But what if we told you that focusing on the material your plastic drinkware is made from can have a bigger impact on your overall bottom line than just looking at the price? It's true. Depending on your operational needs and brand positioning, you may be spending more than you need to on your drinkware. Or you may not be spending very much, but replacing your drinkware more often due to chipping, cracking, or breaking, which costs you more in the long run. We're going to give you an overview of three different kinds of drinkware plastics - Tritan™, SAN, and PC - to see how they compare in terms of durability, replacement rates, and segment use cases. 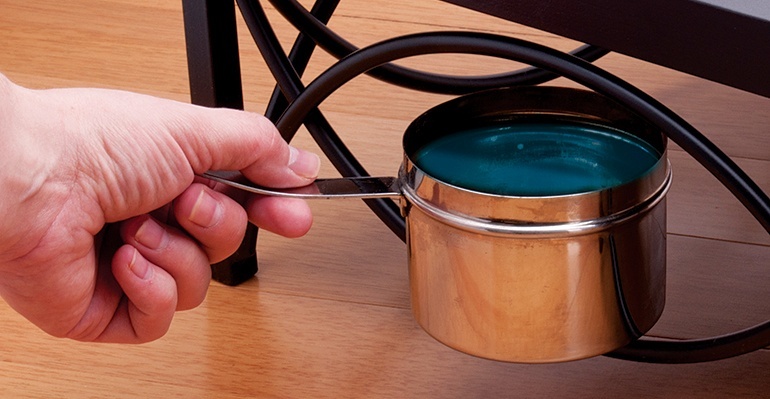 Which is Better for Off-Site Catering: Chafing Fuel, Induction Cooktops, or Butane Gas? Off-site caterers encounter different environments and resources at nearly every event site, requiring more problem solving and adaptability skills than most traditional commercial kitchens demand. If your catering menu includes hot food options, one constant you'll need to navigate is finding the right tool for providing direct or indirect heat, or possibly both. 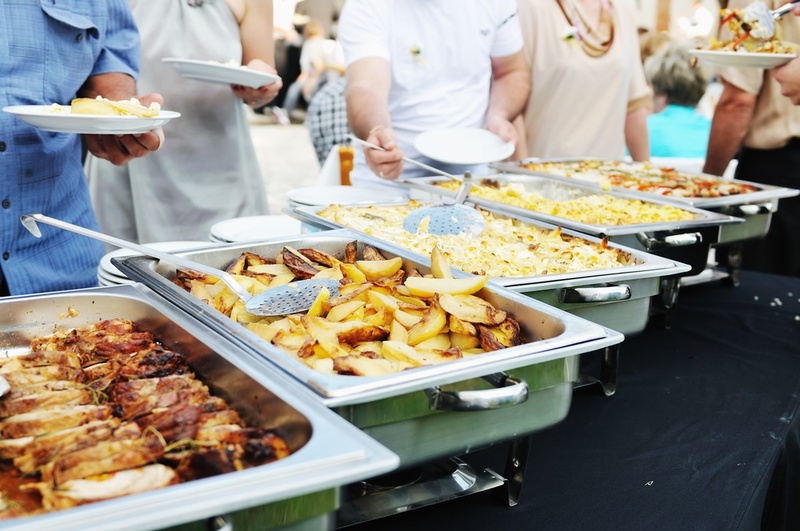 We're going to take a look at how chafing fuel, induction cooktops, and butane gas heat sources solve for different resources, rules, and restrictions that off-site caterers often face while serving at various venues. Whether you're a first-time foodservice operator opening your premier location, or you're a 30-year veteran who's interested in overhauling your drinkware program, taking a few key attributes into consideration can help you make the best drinkware purchase for your establishment. Generally, knowing what you want in terms of ounce capacity, material (PC, SAN, or Tritan™ plastics, or glass), and segment use cases will help guide you to the best products for your needs. On-site and off-site caterers need reliable heat sources to effectively serve their clients' guests. With indoor and outdoor event sites and varying restrictions on open flame, it's a good idea to build in some nimbleness to your catering operation. Chafing fuel is an old go-to for caterers. 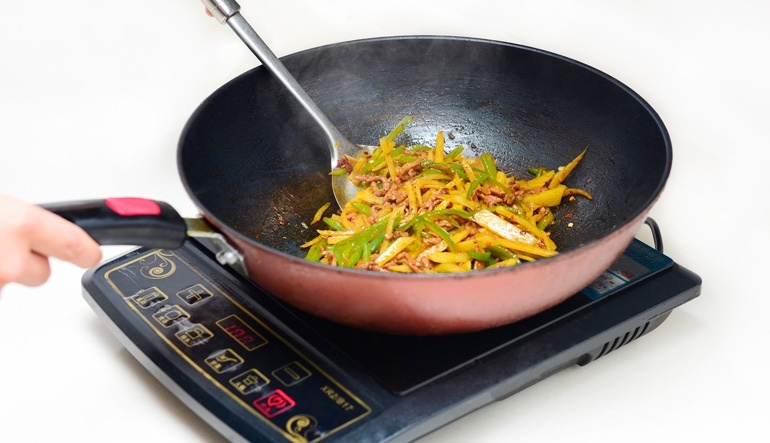 But induction heat has enjoyed popularity growth recently, in part because of new options on the market, making it less expensive than it used to be. They're both effective heat sources that perform similar job functions, but in different ways. Let's see how they stack up against each other. Caterers often use disposable small plates for serving appetizer, dessert, and snack-sized dishes. However, doing so creates an on-going expense and doesn't always deliver in the durability and aesthetics departments. 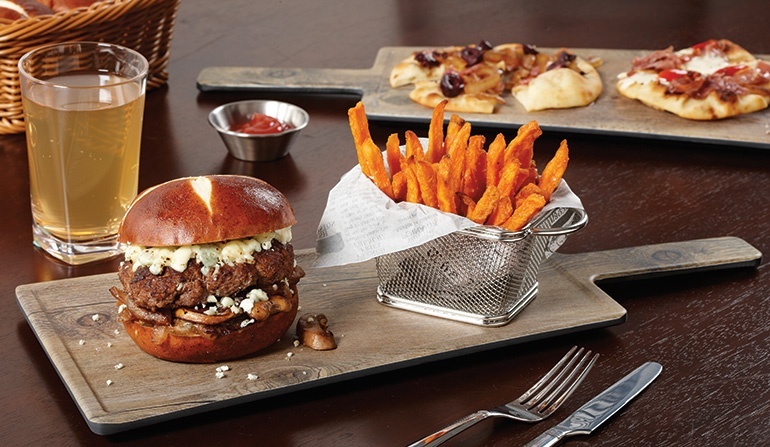 Reusable small plates made from melamine, plastic, and metal not only create high-end presentations, they significantly reduce the year-over-year cost operators must budget for due to low replacement rates. Additionally, each of these materials are sturdy and won't fall or fold in on your guests. Some caterers may even be able to charge more for their services due to upgraded presentations. Reusable small plates may very well translate into saving money while simultaneously pulling in higher-priced events. Melamine Dinnerware & NSF Certification in Foodservice: Do You Really Need It? G.E.T. has led the melamine dinnerware category for more than 30 years. We know melamine. We know all the wonderful benefits it brings foodservice operators, from contemporary designs and unsurpassed durability to low replacement rates. As self-proclaimed melamine enthusiasts, we're also aware of the different qualities of melamine on the market. In a foodservice environment where operators count on their melamine daily to withstand sometimes relentless use in service and commercial dishwashers, only high-quality melamine can meet those needs. With the bulk of melamine dinnerware supply coming from overseas, how can foodservice professionals ensure their investments will result in the highest performance while also exceeding food-safety standards? Certification from the National Sanitation Foundation (NSF) bridges the gap between foreign and domestic regulations ensuring operators get the most out of their purchase.